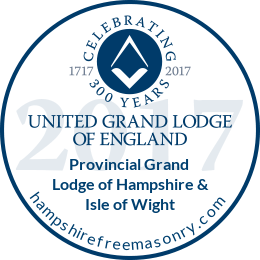 We have over 9,000 members in 250 Lodges meeting in our centres across Hampshire and Isle of Wight. Founded in 1767, our members have played a leading role in the history of Hampshire and Isle of Wight and helped shape and support the community of today. Freemasonry is about making new friends and acquaintances, and being able to help deserving causes - making a contribution to family and society. It's a most rewarding pastime and hobby that's enjoyed by all its members. Freemasonry is one of the world's oldest and largest non-religious, non-political, fraternal and charitable organisations. It teaches self-knowledge and assurance through participation in a progression of ceremonies and nowadays our members are encouraged to speak openly about Freemasonry. Around the Province we have clubs for our new members called 'Light Blues Clubs'. These enable our members to meet socially outside of their lodges. We have a growing number of special lodges in which the members have a shared interest outside of Freemasonry. We have created lodges that offer a military interest or appeal to the sporting enthusiast. Appealing to both student and staff members alike, we have three lodges with links to Universities in the Province: Southampton, Winchester and Portsmouth. Insight is our popular bi-annual publication featuring news and information about our fundraising activities in the Province and is mailed to all our members. If you would like to read a copy online, CLICK HERE. To receive a copy of Insight through the post, CLICK HERE. Traditionally, those interested in joining Freemasonry are introduced by friends and family members. Today we receive many applications via our website and social media accounts. We have a dedicated team who deal with membership enquiries and they can help you from you initial enquiry, to joining the lodge of your choice and into Freemasonry beyond. or call our Provincial Office on 023 8026 1555 and speak to Frank, our Provincial Grand Secretary. Alternatively, complete the form below.